The former capital and residence town of the counts and later princes of Oettingen has only been a part of Bavaria for 200 years. The special royal heritage still imprints the town: The town was the residence of two courts and even divided by confession for several centuries. The baroque and half-timbered facades that stand opposite each other create an impressive townscape and are evocative of the confessional division under the two royal houses. 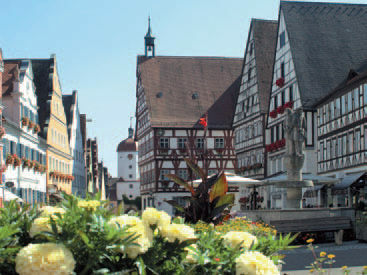 With its colorful gables, fountains and alleyways, the town invites you to linger and explore.